Home Blog Do you think you’re better than average? Do you think you’re better than average? Maybe you don’t think this is you. Maybe most people think they’re better than average, but you’re not as big-headed as most people. Maybe you’re more modest than the average person. Or maybe your modesty is just another trait you’re overestimating. This tendency to think of ourselves as “above average” is a well-established bias. In a study conducted by psychologists Hoorens and Buunk, high school students were asked to estimate how true a number of personality traits were of themselves, and of the average student. Results showed that students rated themselves significantly higher than average on positive traits (such as honesty, persistence and originality) and lower than average on negative ones (such as hostility, vanity and reasonableness. )2 There are a ton more studies3 which demonstrate this tendency to rate oneself as above average: ninety percent of drivers think they are better than the average driver4, and most students think they are more intelligent than the average student5. I wouldn’t be surprised if you reckon you’re less susceptible to the standard cognitive biases than most. What might explain the results of these studies? “Average” appears to carry some pretty negative connotations: calling someone average is a bit like saying they’re nothing special. So it’s only natural that we tend not to want to think of ourselves as “merely” average. It’s also been suggested that the focalism bias may play a part: a tendency to assign greater to significance to whatever is the focus of attention. So when comparing ourselves to others, we may view our own positive traits as more significant than those of others. This means we end up overestimating our abilities or characteristics in relation to those of other people. Does it apply all the time? Further studies suggest that there are certain situations in which this superiority effect is much stronger than others. People are much more inclined to judge themselves as superior when asked to compare themselves to a hypothetical “average person”, than some specific other person.6 So maybe we don’t actually think we’re better than everyone else, but our idea of “average” is somehow distorted (as suggested above, it has some pretty negative connotations.) When we’re asked how we compare to average, we have to evoke some “picture” of what the average person looks like. 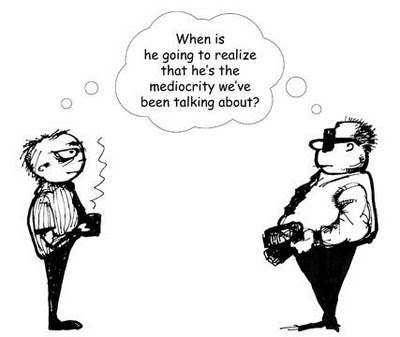 Since we don’t like to think of ourselves as mediocre, what may be happening here is that we choose a comparison target who scores lower than ourselves. The more we overestimate ourselves, the more likely we are to take unwarranted and even dangerous risks. We’re also likely to overestimate our chances of success in a career. We’ll think we’re more likely to rise to the top of a big firm, to become an influential policy maker or academic, or to start a successful business. I’m not saying you don’t have a good enough chance of doing these things to make it worth trying. But if you want to work out where to make the most difference, you need to have a realistic idea of where your chances of success are best. So next time you find yourself thinking “I know most people fail at this/find it really hard, but I’m not most people…”, stop and think for a second. Do you really have good reason to think your chances are any better than anyone else? Do you really know what job will make you happy?